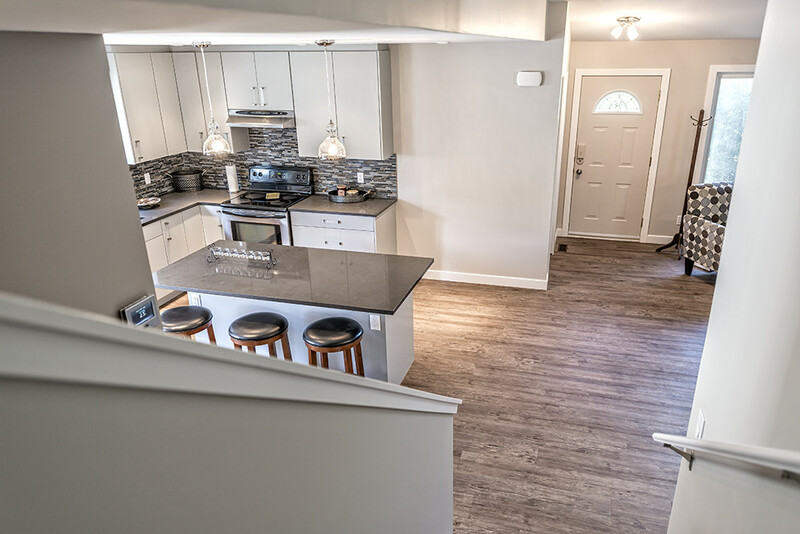 This kitchen and main floor was renovated over the summer of 2015. The renovation included the removal of a wall that separated the main living area from the kitchen, the addition of a granite countertop island and the complete renovation of all cabinetry. The new renovation allows for increased natural light and an open concept space for entertaining. The flooring throughout the kitchen and main floor is our English Bay colour from our Malibu series. Its seamless design and easy installation ties in this renovation beautifully.